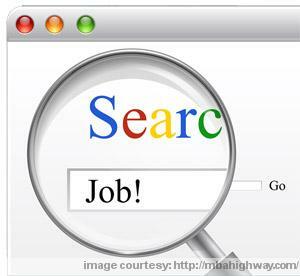 Home » Job Search » How to use Job search engines? There are various ways of narrowing down your search parameters in the various online job portals that are strewn all across the internet today. Given the sheer scale and variety of the options that these will provide, you have to be very careful about navigating these sites and using them to get opportunities that suit you. Therefore some strategizing is in order. The first thing that you can do is use a meta search engine or a vertical search engine which will search for jobs that suit your requirements and educational qualifications across various job search engines. Not all met search engines cover everything so you have to be careful about choosing a search engine that will match your job requirements and profile. There are many ways in which you can streamline your search. You must ensure that you have correctly mentioned all your specifications, educational qualifications, professional experiences and so on. Posting your resume on various job banks is the next step. Ensure that your CV is correctly updated at all times and also ensure that employers can access your details through the job search engine. You must also ensure that all the suitable job banks have your data as the more you expand your search network, the greater the chances of you getting a suitable job. There are some job banks which are not that popular or common but which offer excellent search opportunities and really good postings. Keeping an eye out for these uncommon sites is another way in which you can cast your job net far and wide and be assured of getting the results you desire. How to use job search engines is half the battle won. This is where most people make mistakes and cannot utilize the job engines to their full potential. a long time. Thankful to find this and shared on quite a few social networks platforms! Going to bookmark this post too for future reference as well. Carry on with the great work.